At Melbourne Florist, we provide Malvern and surrounding areas with efficient and reliable flower delivery services. 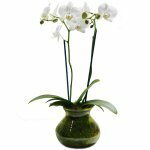 Our fresh flowers come in a range of popular designs, in various styles, colours and arrangements. With over 30 years’ experience in the industry, our professional florists personally choose and arrange quality bouquets and hampers for your orders. We are the experts, always demonstrating professionalism and reliability. When you order from Melbourne Florists, you can be sure your order will arrive on time and at the correct address. With a wide variety of floral arrangements to choose from, there is bound to be something for everyone. 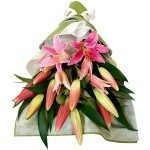 At Melbourne Florists, we have popular designs perfect for every special event or occasion. From birthdays to anniversary celebrations or corporate functions, we have a wide range of flowers, hampers and gifts to choose from. We have a range of gift hampers, including items such as balloons, fruit, teddy bears and more, depending on which style you choose. Our reliable flower delivery service is available across Melbourne. If you order your delivery by 2pm we guarantee same day delivery. 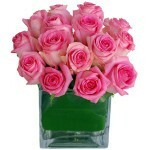 We take great pride in assembling our beautiful flower arrangements and always use the highest quality, fresh flowers. A Melbourne based, Australian owned and operated flower business, we are passionate about providing all our customers with impeccable service. You can be sure you will have a positive experience with us. Our friendly and experienced staff are always happy to lend a hand and help you choose an arrangement for a particular occasion. For more information, please do not hesitate to contact us today. View our wide range of floral arrangements, perfect for birthdays, Christmas, function and events, Valentine’s Day and more. You can call us on 03 9578 9982.